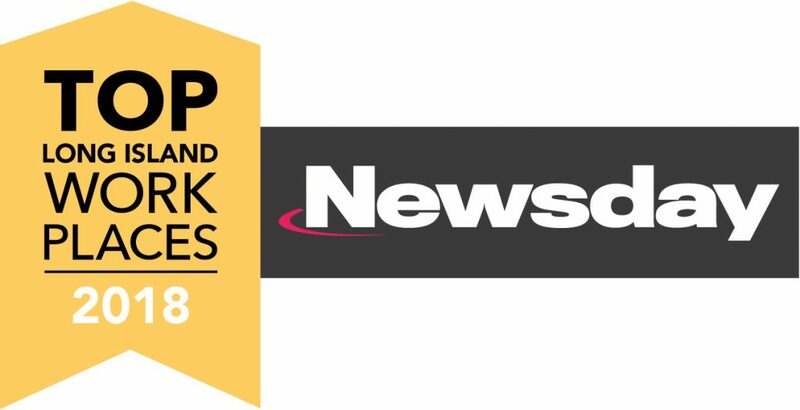 ORANGE, Calif. (Oct. 30, 2018) – American Advisors Group (AAG), a leading provider of home equity solutions for retirement, has been named a 2018 Top Workplace of Long Island by Newsday, a 19-time Pulitzer prize winning newspaper serving more than 5 million readers in the northeast United States. AAG’s Top Workplace recognition is based on surveys completed by employees and conducted by third-party research firm, Energage. Employees were asked to rate their employers on topics such as company goals, vision, confidence in leadership and work appreciation. Based on the results, AAG’s New York office was ranked in the top 10 in the small business category. AAG is committed to building its Caring, Driven and Ethical culture through employee engagement, competitive compensation and professional development. AAG’s employee engagement program, ProjectInspire, hosts appreciation-based social events throughout the year. For the New York office that includes lunch time bingo, foosball tournaments, recreational sports teams, town halls, employee recognition lunches, summer family picnics and holiday parties. Through the AAG Foundation, the organization also makes consistent community contributions by empowering employees with volunteer time off, supplying monetary donations, and hosting fundraising events. Volunteers from the AAG New York office recently participated in a community outreach event to supply hand-written greeting cards to local seniors. For professional development, AAG has an in-house learning and development team, which oversees AAG’s New Hire Orientation, Lead Empower Act Drive (LEAD) program, and AAG University, a continuing education program that offers training for office program suites, introductions to new products and industry and company updates. AAG is dedicated to helping older Americans find new ways to fund a better retirement through the responsible use of home equity. As the nation’s leader in reverse mortgage lending, AAG offers a suite of home equity solutions – including federally-insured Home Equity Conversion Mortgages, traditional and proprietary mortgages, and real estate services – that are designed to give seniors a better financial outcome in retirement. AAG is a proud member of the National Reverse Mortgage Lenders Association (NRMLA). To learn more about AAG and reverse mortgage loans, please visit the company’s website at www.aag.com. Enter your email address to subscribe. We won't spam you.